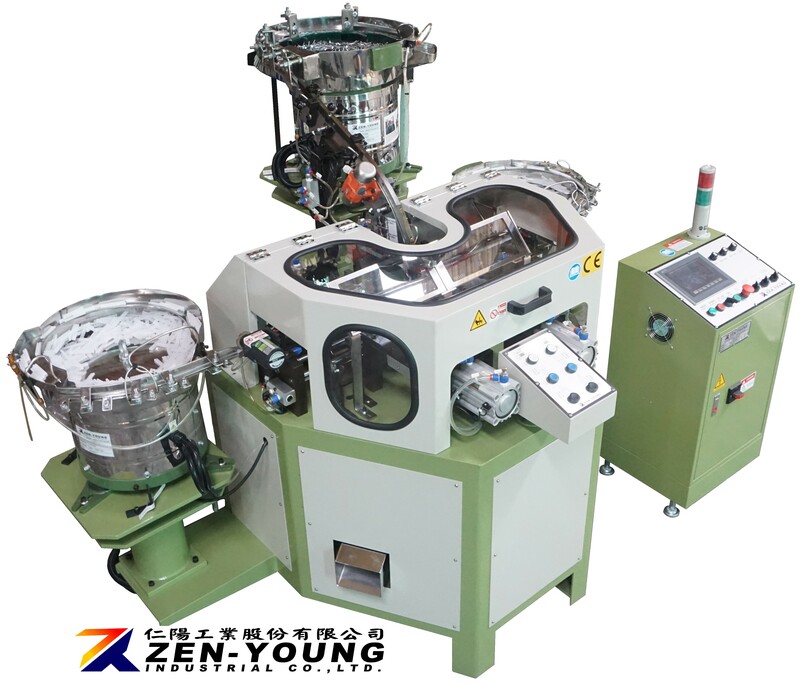 Collated Strip Pin Assembly Machine(ZYO) - Zen-Young Industrial Co., Ltd. It could use with hopper and conveyer. Left and right both sides have a single mechanism for feeding plastic strips. 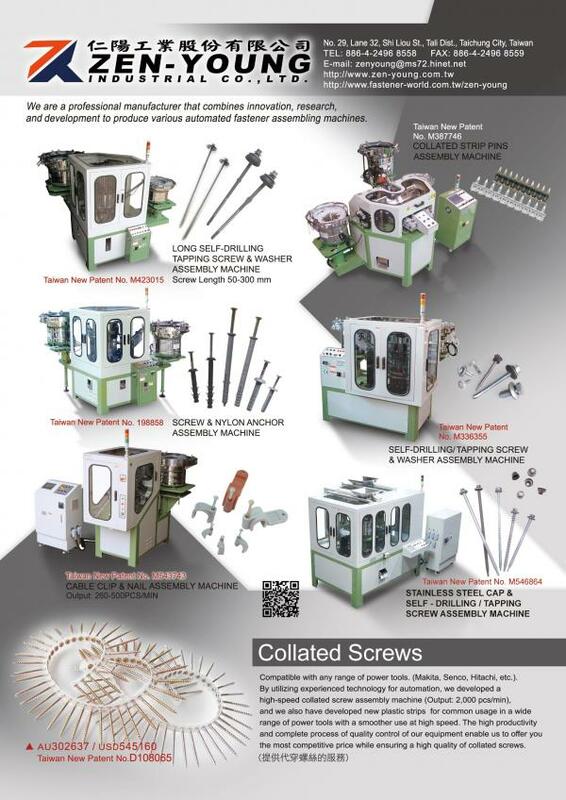 Machine makes a fast and stable reciprocation to assemble drive pins, each reciprocation motion can assemble 6 plastic strips (60 pieces pin).